Kraventines is in the Air! There's almost a whole week left in January, but we will move into February soon, and that means it's time for Kraventines! 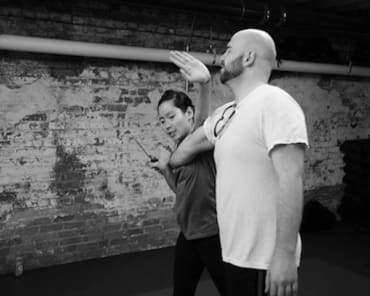 For members that joined in the last year: Kraventines runs from February 1st to February 14, and is a competition between Krav Couples to see who comes to class the most in that time. You don't have to be a couple OUTSIDE of the studio, just two people that train together all the time and want to take their training partnership to the next level! This is how it works: You and your Krav Spouse will check in on social media together each time you come to the studio. Make sure to tag each other, and Krav Maga Raleigh. If you don't use social media we can help you with an alternative. At the end of two weeks we count up to see who has the most attendances, and that Krav Couple (Krouple?) gets two gift certificates to Second Empire, one of the finest restaurants in town! So get ready to start that on February 1st! Besides Kraventines we also have a new class starting next week! 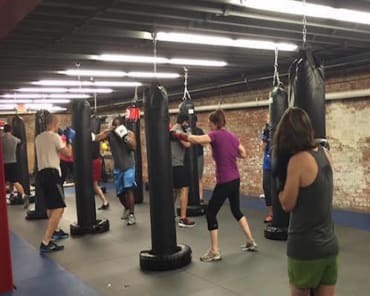 The Tactical Fitness class will teach striking, head movement, striking pads, and agility tools like the jump rope and rope ladder to develop striking and movement skills, and push everyone through a fun and dynamic workout at the same time. The Tactical Fitness class will be on Mondays and Wednesdays at 9:30am, and starts on Monday February 4th. See you there! That should do it for now. January has been a great month at the studio, we've really seen the members step up their training and work towards their goals. Let's keep that up in February!